NJ Furniture Manufacturer Contempo Closet is pleased to announce the expansion of built-in and walk-in custom closets to their expansive line of storage and organizational products and services. Passaic, NJ Feb. 28, 2012 – With over 50 years of experience, NJ furniture manufacturer Contempo Closet specializes in crafting modern wardrobes and storage solutions. The manufacturer is pleased to announce that in addition to their freestanding wardrobe solutions, they are now expanding their offering of built-in closet services for residents of the Northeast USA. As expected, Contempo Closet will bring their custom design approach to their new walk in closet solutions. 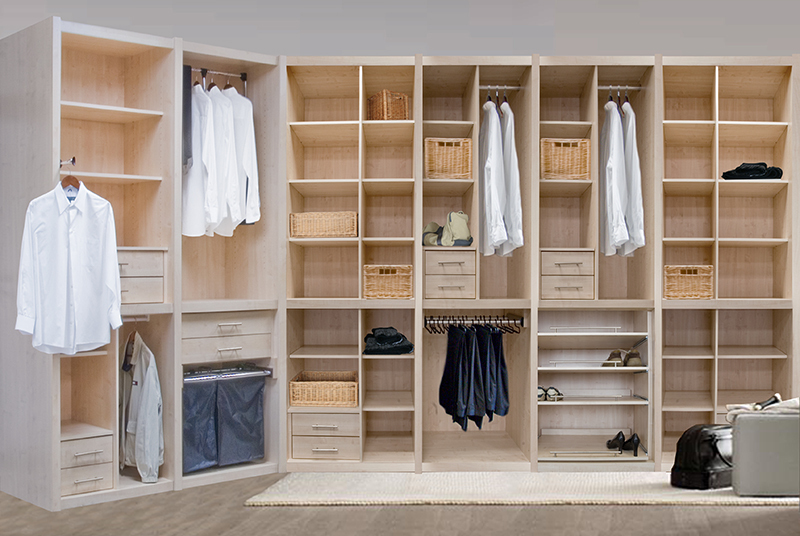 Based on customer needs and concerns, Contempo Closet’s design consultants will craft unique walk in closet and storage solutions, designed to meet specific client requirements. Contempo designers will customize every piece down to the last detail, from dimensions and layout to handles and finishes. With dozens of available finish and color options, Contempo Closet’s design team can tailor each custom closet system to match any surrounding décor from contemporary to traditional and everything in between, crafting a piece that ultimately becomes an integral part of a customer’s home. Contempo Closet also offers a wide array of storage features including shoe racks, hang rods, pull out hampers and more to help customers find the perfect storage system to match their needs and lifestyle. All walk-in closet installations will be handled by Contempo Closet’s trained professionals under the direction of Contempo Closet’s expert design consultants. Every installation will include a limited life-time warranty just in case, although Contempo Closet doubts customers will need it. Contempo Closet, a member of the Contempo Space family, specializes in custom closets, wardrobes, dressers and more. Design consultants and craftsmen work with customers to create the perfect piece for any space to best meet the customer’s needs. Delivery and on-site assembly are also available upon request. For more information on products and services, visit ContempoCloset.com. For further updates, follow Contempo Closet on Twitter via @ContempoSpace and on Facebook at Facebook.com/ContempoCloset. This entry was posted in Company News and tagged built-in closet, closet system, contempo closet, custom closet, walk-in closet. Bookmark the permalink.